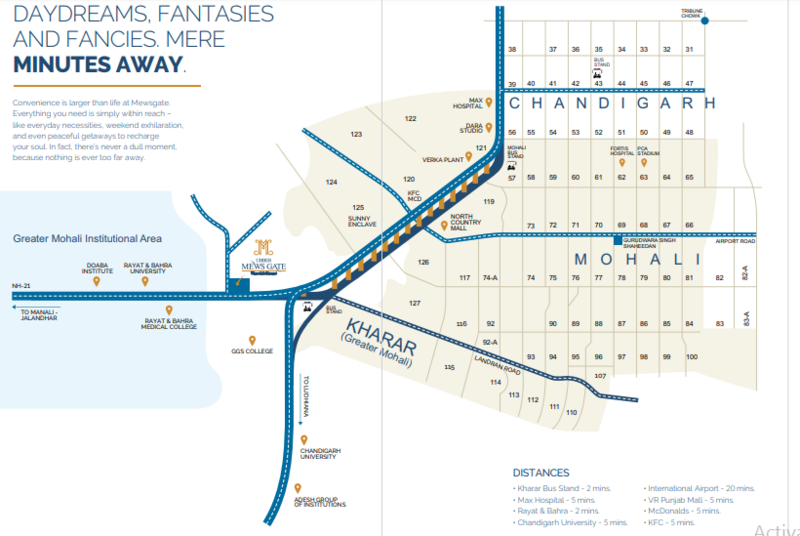 Ubber Mews Gate: Affordable homes in Mohali! 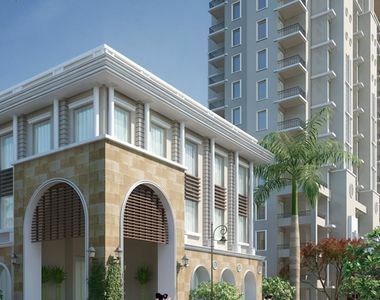 Ubber Group has launched a new project called Ubber Mews Gate in Mohali. Luxurious, serene, comfortable yet connected is all that describes the new project. The contemporary lifestyle is taken to a whole new level by taking you to an environment that will pamper you from the moment you enter. The basic perspective behind creating the residential and commercial environment is to give you an appealing and a healthier pace of your life. 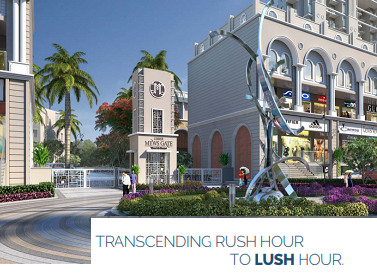 With the thoughtfully designed low rise and high rise homes, Ubber Mews Gate features neoclassic retail plaza. It is located on the Chandigarh Ropar Highway with an impressive highway frontage on the National Highway 21. It is located at a few minutes distance from the V R Punjab Mall and Max Hospital and is surrounded by the renowned institutes and universities. At the Ubber Mews Gate, you get the well-crafted homes for the new age living. It features landscaped gardens. The home is specially designed in a manner that space is utilized in the best possible manner with ample of natural light and fresh air filling up the home. The Interiors are lavishly designed and the developer provides a false ceiling in the drawing room and dining room. Everything is perfect as you have always imagined. With the varied set of amenities available, celebrate every day at the Ubber Mews Gate, Mohali with your entire family. It features a rooftop swimming pool and a well-equipped gymnasium with the top of the line fitness center with a yoga and meditation center. Fine-tune your skills at the pool table and or read your favorite novels at the mini library. Go out and play a game of basketball or see your kids enjoy the kids play area. In any business, a great address makes all the difference. It is offers a new prime location for smart business. The modern commercial complex is built in a European style design in all practical sizes. Get the high potential business opportunity at the unmatched location with amazing connectivity, scenic beauty, meticulous detailing and scrupulous façade. Ubber Mews Gate is an exclusive location with the innovative commercial space. So come to showcase your merchandise in this new iconic commercial plaza built on the NH-21. 200 shops are showcased in full modern minimalist façade and column-free layout. Save on electricity as natural light and fresh air fills in your business place. Get assured return/rentals and amazing appreciation in your property which is the new name of luxury. Car parking facility and lift is available for the customers. The infrastructure is specially designed in a disabled-friendly infrastructure. The Ubber Group is one of the most innovative and visionary developers of the down. Their motto is to deliver what is promised. Their approach to quality combined with affordability helps the customers being the proud owners of the lavish apartments and office without digging a hole in their pocket. Ubber Mews Gate price is very competitive in the market, which makes it an excellent investment opportunity. Kharar Bus Stand - 2 mins. Max Hospital - 5 mins. Rayat & Bahra - 2 mins. Chandigarh University - 5 mins. International Airport - 20 mins. VR Punjab Mall - 5 mins.